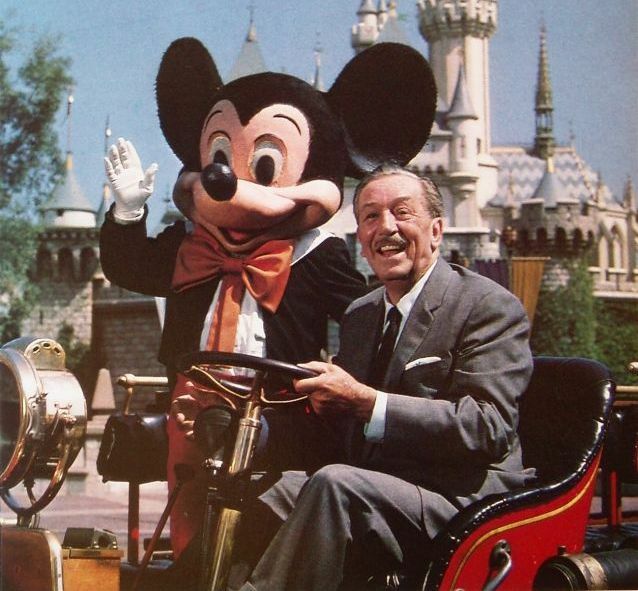 1991-2019 Celebrating Over a Quarter Century as the Walt Disney Expert! 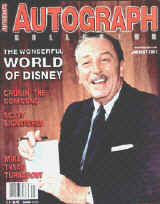 Need a Walt Disney Signature Authenticated? See details in the blue boxes below. Want To Sell a Walt Disney Signature? For a quarter of a century Phil Sears has taken pride in being THE expert in genuine Walt Disney autograph material. 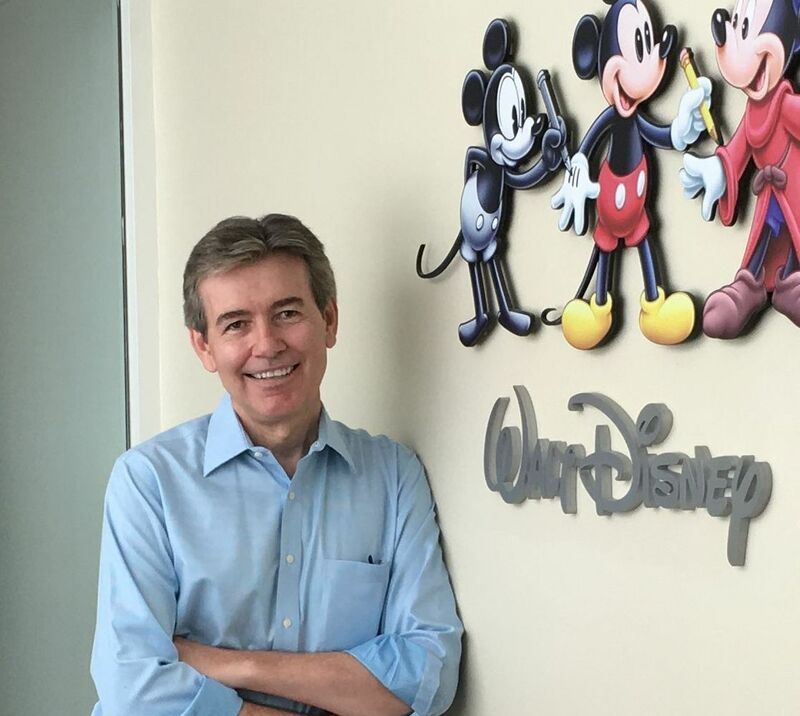 Phil Sears is well-known in the professional autograph field and to the Walt Disney Studio Archives and the Walt Disney Family Museum-- recognized as THE Walt Disney autograph specialist. He's spent 25 years buying, selling, collecting and authenticating more Walt Disney autograph material than anyone else on earth. authentic, vintage Disney autographs and memorabilia. Perhaps the best of these is Phil Sears..."
A preliminary opinion of authenticity by email is free for any Walt Disney signature you currently own and that is not yet posted for sale/auction on the internet or in any catalog and has not been within the last 12 months. This free opinion is a brief email from Phil Sears stating that the signature is consistent/inconsistent with Walt Disney's authentic autograph for the appropriate era. To receive a free opinion, simply email phil@philsears.com and attach a good image of your Walt Disney signature. State that you or your family have owned the autograph for more than one year and you'd like a free email opinion. This is a preliminary opinion based on a photo you send; it is not a Certificate of Authenticity. I only issue Certificates of Authenticity after an in-person examination at an additional cost. If you receive a free opinion which is negative and you ask me to write a more detailed explanation of what is wrong with the signature, the cost for a detailed reply is $100. A preliminary opinion by email for a signature in this retail/commercial category is $35. This opinion is a brief email stating the signature is either consistent or inconsistent with Walt Disney's authentic autograph for the appropriate era. The majority of "Disney" signatures I am asked about are not authentic- so I encourage you to save yourself a load of trouble and check the authenticity BEFORE you buy. It can be hard to get your money back after discovering you've bought a bogus autograph for hundreds or thousands of dollars! 2) Email phil@philsears.com and attach a good image of your Walt Disney signature. If you receive a $35 opinion which is negative and you ask me to write a more detailed explanation of what is wrong with the signature, the cost for a detailed reply is an additional $65. A Phil Sears Certificate of Authenticity requires an in-person examination. The cost for the in-personal examination is $150. You must ship the signature to me, insured, signature required upon delivery. If the result of the in-person inspection is positive, a Certificate of Authenticity will be issued with the autograph photocopied onto the certificate. Click the button below to pay $150. A $15.95 shipping fee will be charged so I can ship your item back to you with insurance. Large, heavy, or very expensive items and items shipped outside the U.S. may require an additional shipping/insurance fee. The $150 charge applies even if the signature is determined to be inauthentic, so save money and get the preliminary email opinion first! If you have already paid $35 for a preliminary opinion by email, $35 will be refunded to you. If you are in the Southern California area and prefer to hand-carry your autograph, you can call me at (949) 643-8376 to set up an appointment.